Islamic and European art and culture apparently seem to be -conceptually and formally- diametrically opposed to each other. However, if we take a deeper look into Islamic and European art history, we may notice that there have been several points of similarities, continuous contact and an immense exchange of ideas and styles between these two cultures. This paper examines the concept of iconoclasm applied to Christian and Islamic art, and the different purposes for which iconoclast actions against works of art and architectural monuments have taken place. 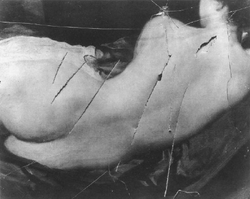 Following the lead of different authors specialized in Islamic art and culture such as Titus Burckhardt the article distinguishes the basic difference between the destructions of works of art for political reasons and the prohibition to reproduce images that represent God and the Sacred. 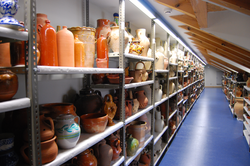 University museums are in many cases collections of various types of materials. These museums are of great interest to all disciplines -including history- focused on the study of its objects. The Popular Arts and Traditions Museum of the Universidad Autónoma de Madrid provides, through its vast collection, the opportunity to analyze the cultural interconnections between different geographical areas, not only within the national scene, but also the connections between different human communities located in a remote physical and temporal space having in common the use of similar solutions to solve daily problems or needs. This article examines a series of legal works on the subject of slavery and enslavement in premodern West Africa written by Ahmad Baba, Timbuktu's most famous Islamic scholar (963/1556-1036/1627). 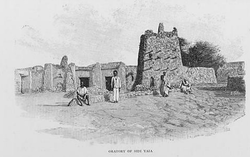 In these juridical opinions (fatawa, fatwas, and ajwiba, legal responsa), Ahmad Baba answers several questions concerning the lawfulness of enslaving different ethnical groups of the bilad al-sudan, and the legal procedure that should be followed with the slaves that claim their freedom for having been captured while being free. The author's stance towards it clearly stresses that in the religion of Islam, slavery is not related to race, but to infidelity, thus rejecting contemporary views that held that Africans were slaves by nature. Nevertheless, the author's and enquirer's links to Trans-Saharan trade in slaves may have conditioned the motivation and efficacy of these legal texts. 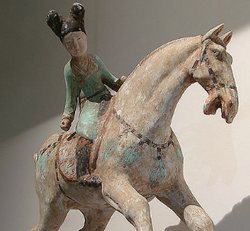 Tang Dynasty China's main feature is its cosmopolitan and open society in which women had a distinguished role with matchless freedom. The grave goods of that period represent a documentary source, a chronological reference, and also a key evidence of the age. This paper has the purpose of depicting the feminine world at the imperial court by examining figurines from grave goods. This analysis focuses on the first part of the dynasty and puts its special emphasis on foreign influences. 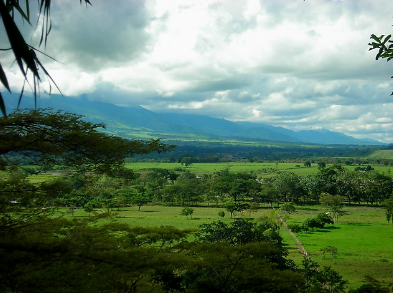 This article examines the history and problems of food production in Colombia between 1984 and 2009. The main focus of the study is directed towards the analysis of agricultural guidelines set by various administrations in charge and their development goals framed by macroeconomic policies of the last 25 years. During this period, the stable economic growth that Colombia experienced was thwarted by the inability to reduce the number of starving people. This multi-causal problem has to do with the incessant armed conflict, unequal land distribution, drug trafficking and some controversial government policies. Among other things, this paper also raises the question of how Colombia can ensure food sovereignty. Entremons is a constantly evolving project which gets better every day. In the second issue you can see the changes we have made in the design of articles, reviews and the web, as well as the work we have done in the field of correction and editing of texts. Gradual achievement of the highest quality standards, both in form and content, is for us an essential objective. We want to be useful to our readers and become a serious platform for all young history scholars, so they can publish their work and research in the field of world history. Moreover, we aspire to be a meeting place for anyone interested in history. We want to do it with the utmost scientific accuracy without losing appeal to a broad audience. The articles published in this issue highlight the knowledge of those parts of the world that until recently have almost not been noticed by historians. Relations between the Islamic and Christian world through art, slavery in pre-modern West Africa, hunger and conflict in Colombia, as well as the clothing in Tang China are some of the topics featured in the second issue of Entremons. A look at university museums and a tour around the concept of big history complete the range of articles. In the book review department of our website you will find references to some outstanding current historical publications that discuss the latest reflections on empires, the Tragic Week in Barcelona in 1909, the big history, the cultural change process in the West in the early twentieth century, the world in the late modern age and a vision of world history as a whole. Entremons is not just an online magazine. Recently, the journal has set up as an association that intends to carry out various activities to promote the diffusion of historical knowledge. We work to strengthen links with organizations and entities of world history worldwide. The attendance of some members of our Editorial Board to scientific meetings and the recent high level contacts with the World History Association (WHA) is an excellent example of this cooperation. The live discussion via videoconference with the executive director of the WHA, Winston Welch, during the presentation of the second issue was the first step in joint projects. Throughout the academic year, Entremons will organize a film season on the construction of contemporary world through the cities, in which outstanding specialists will participate. Moreover, in the middle of December we will organize a workshop on historical methodology that we hope will be of your interest. We encourage you to take a look and take advantage of everything that Entremons makes available to you. We know that there is still much work to do and you are the reason that moves us to do it.